April 7 is World Health Day and this year, the World Health Organization (WHO) is focusing on Universal Health Coverage (UHC). WHO: Universal Health Coverage - What does it mean? Good health is crucial for developing economies and reducing poverty. Governments and decision-makers need to strengthen health systems so that people can get the healthcare and services that they need to maintain and improve their health, and stay productive. However, improving access to health services is incomplete if people plunge further into poverty because of the cost of health care. WHO estimates that over 800 million people spend at least 10% of their household budget on health care which is indicative of catastrophic health expenditure (CHE). CHE can mean that households have to cut down on or forfeit necessities such as food and clothing, education for their children or even sell household goods. One of the targets of Sustainable Development Goal 3—Ensure healthy lives and promote wellbeing for all at all ages— is to achieve universal health coverage by 2030. Therefore, achieving UHC has become a major goal for health system reforms in many countries, especially in Africa. Through our projects and solutions, eHealth Africa supports countries across Africa to strengthen the six pillars of universal health coverage. WHO recommends that no less than 15% of national budgets should be allocated to health. We believe that accurate and up to date data, can ensure that available health funds are better allocated. In Nigeria, we worked with several partners to map and collect geospatial data through the Geo-Referenced Infrastructure and Demographic Data for Development (GRID3) program. Data relating to over 22 points of interest categories including health facilities, was collected across 25 states and the Federal Capital Territory in Nigeria. This data helps decision-makers to distribute resources and plan interventions that target the people who need it most. Countries decide what medicines and health commodities are essential based on the illnesses suffered by the majority or significant sections of their population. They must also ensure that quality, safe and effective medicines, vaccines, diagnostics, and other medical devices are readily available and affordable. When essential medicines and health products are procured, it is important to maintain proper records and to ensure that health facilities do not run out of stock. eHealth Africa created Logistics Management Information System (LoMIS), a suite of mobile and web applications, LoMIS Stock and LoMIS Deliver that address challenges in the supply of essential medicines and health products such as vaccines and drugs. In Kano State, health workers at the facility level use the LoMIS Stock mobile application to send weekly reports on the vaccine stock levels, essential drug stock levels and the status of cold chain equipment. Supervisors can view the reports in near real-time through the LoMIS Stock Dashboard and plan deliveries of medicines and health products to prevent stockouts of vaccines and essential drugs, using LoMIS Deliver. 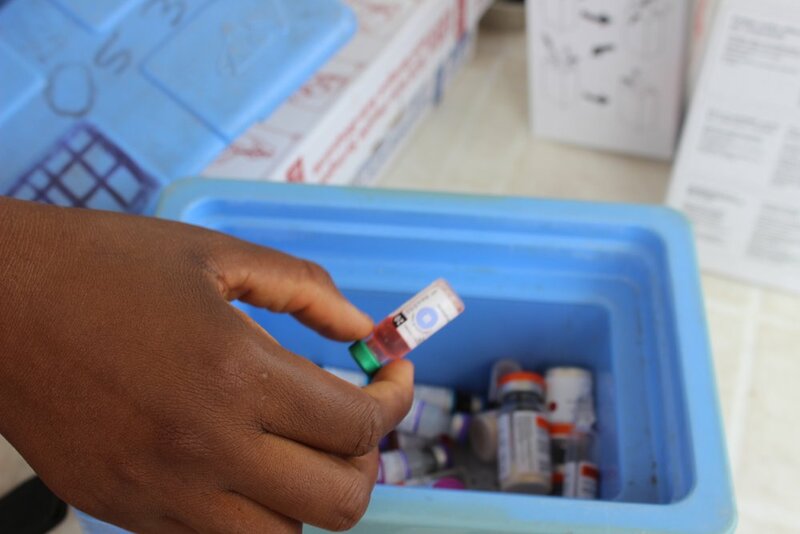 LoMIS Deliver reduces errors by automating the process of ledger entry to capture the number of vaccines on-hand at the facility and the quantity delivered. Health system governance according to the WHO is governance undertaken with the aim of protecting and promoting the health of the people. It involves ensuring that a strategic policy framework exists and providing oversight to ensure its implementation. Relevant policies, regulations, and laws must be put in place to ensure accountability across the health system as a whole (public and private health sector actors alike). Effective health systems governance can only be achieved with the collaboration of stakeholders and partners who will support the government by providing reliable information to inform policy formulation and amendments. Over the years, we have worked with several partners to provide this support. The attainment of UHC is dependent on the availability, accessibility, acceptability, and quality of health workers1. They must not only be equitably distributed and accessible by the population, but they must also possess the required knowledge and skills to deliver quality health care that marries contextual appropriateness with best practices. Recognizing this, eHA supports the Kano State Primary Health Care Management Board (KSPHCMB) to improve health service delivery by providing health workers in Kano State with access to texts, audio courses, and training modules through an eLearning solution. Through the eLearning web and mobile-enabled platform, health workers can gain useful skills and knowledge on a wide range of topics. Read about the pilot of the eLearning solution here. In Sierra Leone, we work with the Ministry of Health and Sanitation (MoHS), U.S. Centers for Disease Control and Prevention (CDC) and the African Field Epidemiology Network (AFENET) to implement the Field Epidemiology Training Program (FETP). Through FETP, public health workers at the district and national level gain knowledge about important epidemiological principles and are equipped with skills in case/ outbreak investigations, data analysis, and surveillance. This positions Sierra Leone to meet the Global Health Security Agenda target of having 1 epidemiologist per 200,000 population. In addition, we support Sierra Leone’s MoHS to build additional capacity in frontline Community Health Officers (CHOs), who are based at the Chiefdom level through the management and leadership training program. CHOs are often the first point of contact for primary care for the local population and the MLTP program equips them to provide better health services and improve health outcomes at their facilities. In line with our strategy, we create tools and solutions that help health systems across Africa to curate and exchange data and information for informed decision making and future planning. The Electronic Integrated Disease Surveillance and Response (eIDSR) solution has been used in Sierra Leone and Liberia to transform data collection, reporting, analysis, and storage for a more efficient response and surveillance of priority diseases. Its integration with DHIS2, a health information system used in over 45 countries, makes it easy for health system decision makers to visualize data and gain insight into the state of public health. Read more about our other solutions Aether and VaxTrac. In addition, we also support the Nigeria Center for Disease Control and Prevention (NCDC) by creation and maintenance of a data portal which serves as a repository for all datasets that are relevant to detecting, responding and preventing disease outbreaks in Nigeria. The Service delivery and safety pillar encompasses a large spectrum of issues including patient safety and risk management, quality systems and control, Infection prevention and control, and innovations in service delivery. With our experience working to respond to polio and ebola virus emergencies across Africa, we support health systems to mount prevention and control programs at the national and facility level. We are also committed to creating new technologies and solutions that can help health providers to develop better models of healthcare. We also construct health facilities ranging from clinics to laboratory and diagnostic facilities that utilize state of the art technology to correctly diagnose diseases such as Sickle Cell Disease, Meningitis, and Malaria. 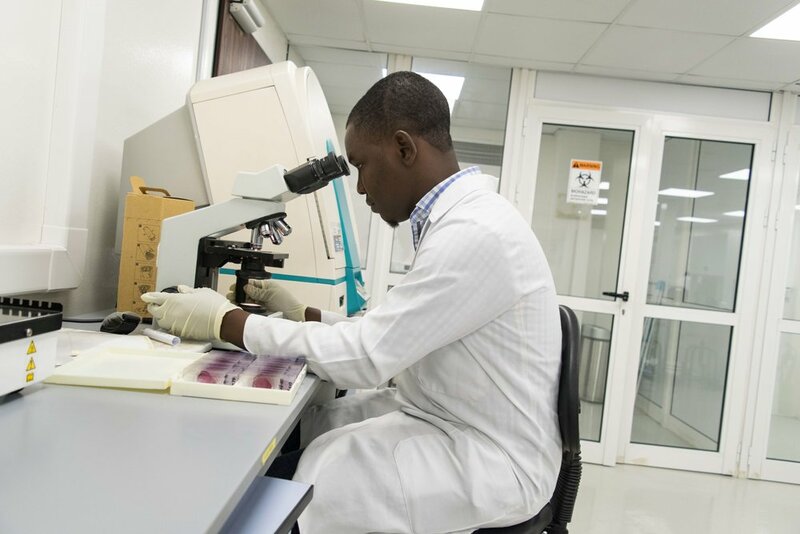 Our Sokoto Meningitis Lab has been at the forefront of meningitis testing and surveillance in Northern Nigeria, offering reliable and prompt diagnoses to support the prevention of future outbreaks. eHealth Africa continues to work with governments, communities and health workers so that everyone can obtain the quality health care, in a prompt manner and from health workers and facilities within their communities, thus achieving universal health coverage.